Many thanks to those who helped out with the two Era of Megafires presentations, held in Grants Pass on May 30 and Medford on May 31. 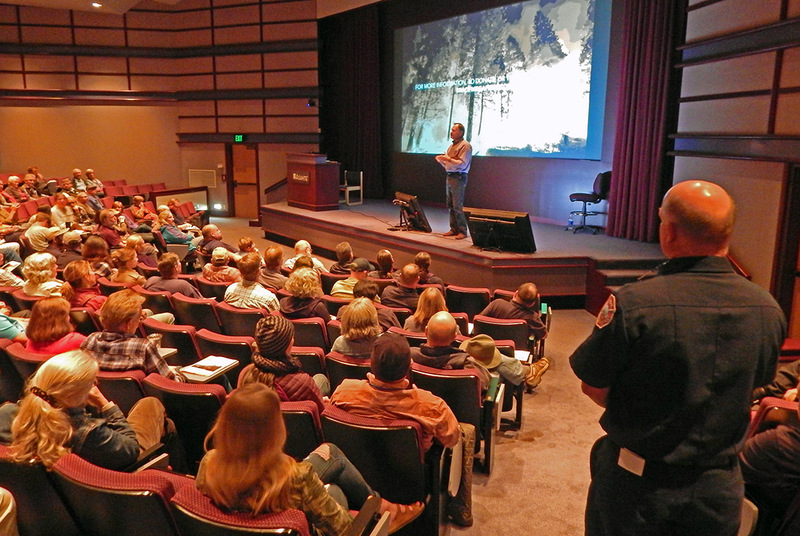 The agencies and non-government organizations who supported the shows include the Rogue River-Siskiyou National Forest, the Oregon Department of Forestry, the Rogue Valley Fire Prevention Cooperative, the Southern Oregon Forest Restoration Collaborative, Oregon State University Extension Service, the Fire-Adapted Communities Learning Network, Josephine County, Lomakatsi Restoration Project, Asante Rogue Regional Medical Center, and representatives from southwest Oregon's many structural fire departments. Approximately 300 members of the public and invited guests attended the two presentations. How do you want your fire? How do you want your smoke? 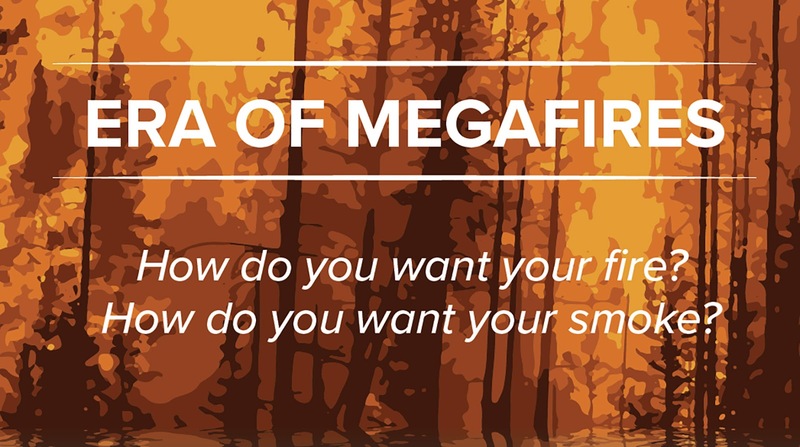 Please join the Rogue Valley Fire Prevention Cooperative for a FREE presentation of The Era of Megafires, presented by Dr. Paul Hessburg, on Wednesday, May 30, at The Event Center at the Lodge at Riverside 940 SE 7th Street, Grants Pass, or on Thursday, May 31, at 7:00pm at the Smullin Health Education Center, 2825 East Barnett Rd, Medford. Doors will open at 6:15 pm for a light reception. The presentation begins at 7:00 pm with opportunity for questions at the end of the production. Megafires, wildfires over 100,000 acres, and the destruction caused by them is a serious and growing issue to our region. Our communities, homes, businesses and our very way of life are threatened. If we are going to make effective progress towards increasing fire resiliency, we must increase awareness and stimulate conversation about this important issue across all levels of society. 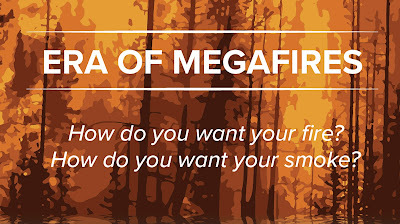 The “Era of Megafires” is a 70-minute, multi-media, traveling presentation hosted by Dr. Paul Hessburg, who has conducted fire and landscape ecology research for more than 27 years. The presented material comes in the form of fast-moving, short, topic-based talks interspersed with compelling video vignettes and features the work of wildfire photographer, John Marshall. Think Ted X mixed with snappy documentary shorts and compelling photography. The videos are produced by award-winning documentary film company, North 40 Productions, of Wenatchee, WA. With the eclipse taking place during the peak of wildfire season, please keep fire prevention a top priority. Remember that idling cars over dry grass and careless acts with smoking, campfires, fireworks and target shooting can easily spark a wildfire. Here are some prevention tips from Keep Oregon Green! • Know fire risks and respect fire restrictions, such as campfire bans. • Avoid parking or driving on dry grass as your vehicle can start a wildfire. • Vehicles are required to have a shovel and fire extinguisher or at least a gallon of water in many areas. • Do not use candles, fireworks, tiki torches, or other open flames outdoors. –– Sky lanterns are illegal in Oregon airspace. –– Dispose of smoking materials in deep, sturdy ashtrays. –– Make sure butts and ashes are extinguished by using water or sand. –– Never discard butts on the ground or in vegetation. –– Level 1 – Ready: Pack your valuables. –– Level 2 – Set: Monitor the news reports. –– Level 3 – Go: An official notice from the sheriff’s office or fire agency to evacuate. Even through southwest Oregon is not in the path of totality, there will be hundreds of thousands of additional drivers on I-5 during the days leading up to and after the eclipse. It is up to everyone to prevent wildfires and to practice these safety measures during this time. Winter is the season when people spend more time in the kitchen cooking and preparing meals. Sounds like business as usual, right? The kitchen is the place where more home fires occur than anywhere else in the house. The American Red Cross has a list of steps to follow to prevent a fire incident in the kitchen. Before looking at their list below, follow this link to their Cooking Safety Quiz to test your knowledge about safe cooking practices! Fire safe home practices are everyone's responsibilities. When your kids are old enough to cook, teach them the safest and most responsible ways to use equipment, and always be close by to supervise. Set a good example and always follow the same safety precautions when you are cooking. 1. 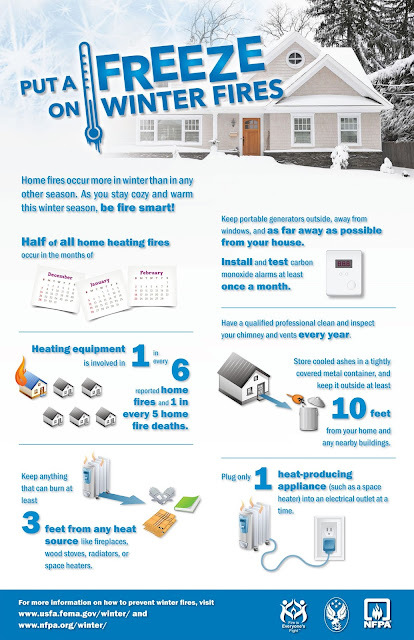 Make sure your wood burning stove is properly installed and has proper venting. 2. Perform a monthly inspection on the chimney. 3. Use dry, seasoned wood. Hardwoods are the best fuel for a wood stove. 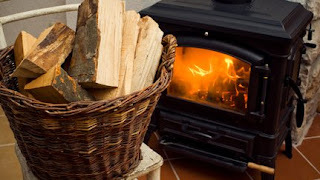 Wood should be air dried for at least a year before burning. 4. Clean the stovepipe and chimney at least once a year. Use a wire brush to clean your stovepipe and chimney or hire a professional to do the job. Creosote is highly combustible and can condense along the walls of the stovepipe and chimney if the fire is not burning at hot enough temperatures. Creosote can be in many forms, sticky, flaky or a hard glaze tar. Fire Season is over, but Fire Prevention NEVER STOPS! Oregon Department of Forestry fire officials are officially ending the 2016 fire season on Southwest Oregon District-protected lands Thursday, October 13 at 12:00 a.m. The conclusion of fire season is a result of cooler temperatures and continued rainfall throughout Jackson and Josephine counties. The fire prevention regulations put into effect on June 30 will no longer be enforced. This impacts 1.8 million acres of state, private, county, city and Bureau of Land Management lands in Jackson and Josephine counties. Although fire season is coming to a close, it does not mean that there is no danger of wildfire. The end of fire season eases restrictions on activities that often can start a fire but does not relieve a person of responsibility for their actions. Residents need to remember that it is everyone’s responsibility to practice fire prevention protocol. When burning or using any type of fire in the woods or yard, make sure to be in attendance and maintain control of your burn at all times. Clear above and around your burn, with firefighting equipment nearby as a precaution. Residents should contact their local fire department before conducting any burning as restrictions vary among local fire districts. The firefighters and staff at the Oregon Department of Forestry Southwest Oregon District would like to thank all partnering agencies, support staff and the public for their continued cooperation this fire season. Very dry conditions in southwest Oregon’s forests and wildlands makes it necessary for the Oregon Department of Forestry’s Southwest Oregon District to shut down public use of power-driven and spark-emitting internal combustion engines starting Monday, Aug. 15, at 8:00 a.m. The pubic regulated use fire danger level will be “extreme” (red) but the Industrial Fire Precaution Level will remain at 2 (two).